The airplane glides onto the runway at Crown Point Airport just beyond the water’s edge. You land in Tobago and walk off the plane unto the tarmac. You are welcomed by a gentle and caressing breeze. The air smells fresh and clean. You naturally take some deep breaths of this unpolluted air. Your lungs thank you. You even feel more clear headed with each breath of this pure and uncontaminated air. All your cares just seem to melt away. You even shed the weight of any mental burden with which you have been plagued. You suddenly feel carefree, sprightly and vivacious. Even the arthritis and body pains that were your constant companion now desert you. You immediately sense that you are in paradise. You can’t imagine that you were never here before. You can’t help wondering if there was a giant conspiracy to keep this ecotourism island paradise veiled in mystery and secrecy. Even at this early point, you realize that this is a special island like no other. You are even beginning to understand how Tobago is recognized as the premier eco-resort in the Caribbean. You can’t wait to get started with your island vacation. Your are eager to explore all the pleasures this bewitchingly beautiful island has to offer. The entire island of Tobago is an eco resort. Recognized as the premier ecotourism destination in the Caribbean, the entire island can be viewed as one big tropical resort. 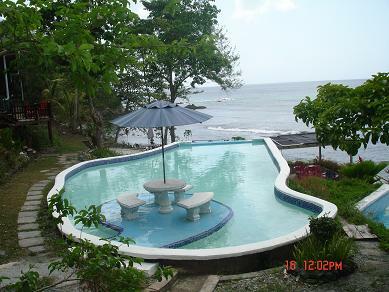 Consequently, where ever you stay will expose you to the island’s eco benefits. However, there are dedicated eco retreats that are more eco-centric in their accommodation, setting and activities. Are you planning to stay in an eco lodge? So what are your plans for this promising island vacation? There is no shortage of fun things to do in Tobago. Do you have an interesting story or experience about your visit to Tobago? We would be happy if you share it.